The generous support of Julie MacDonald, High Sheriff of South Yorkshire 2016-17, enabled Yorkshire Artspace to commission me in May 2016 to work with around 90 children to create a permanent artwork for Manor Lodge Primary School that celebrates Sheffield’s past and present as a city of makers. 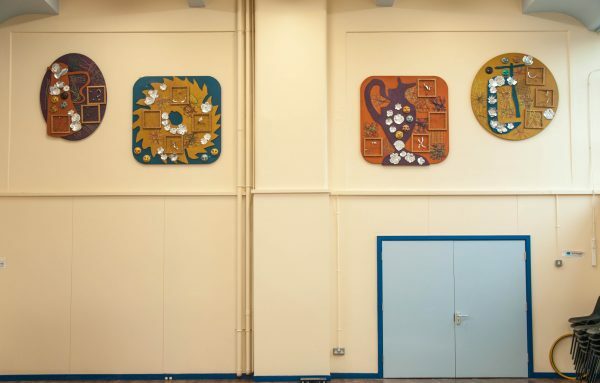 The artwork was launched in December and is made up of eight wall panels, with individual elements created by all 90 pupils mounted onto them. For more details, see main project page.